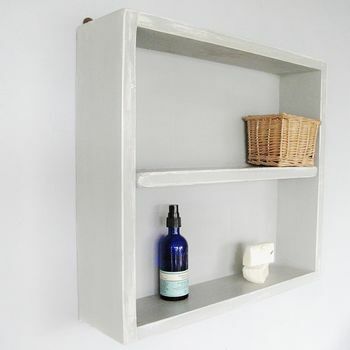 These lovely shelves are the perfect solution to bathroom storage. 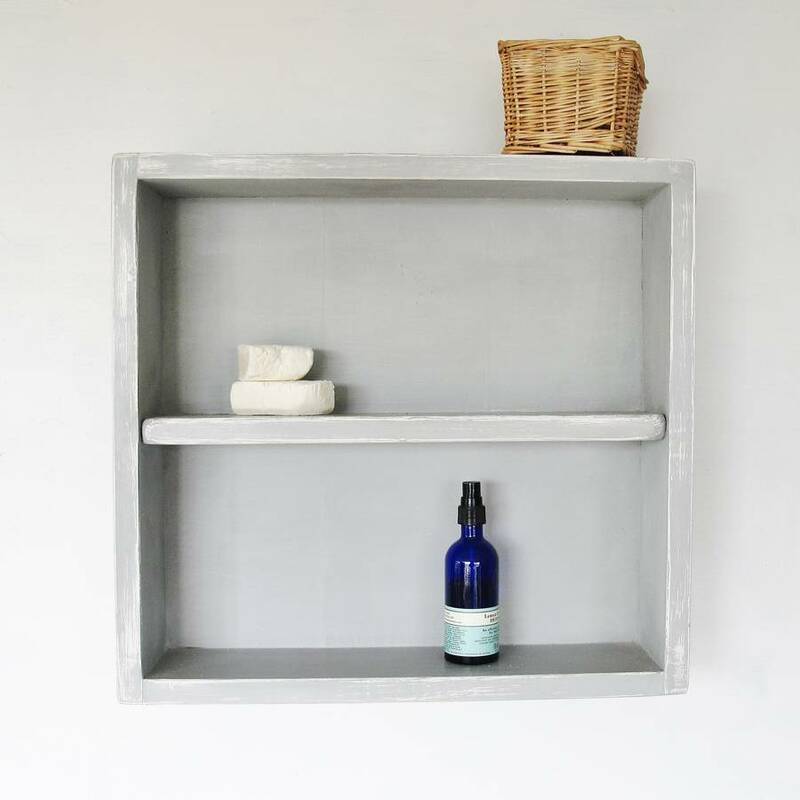 The shelf shown is painted with Paris Grey with a base coat of Old White, it's then gently sanded by hand to reveal the contrasting colours. 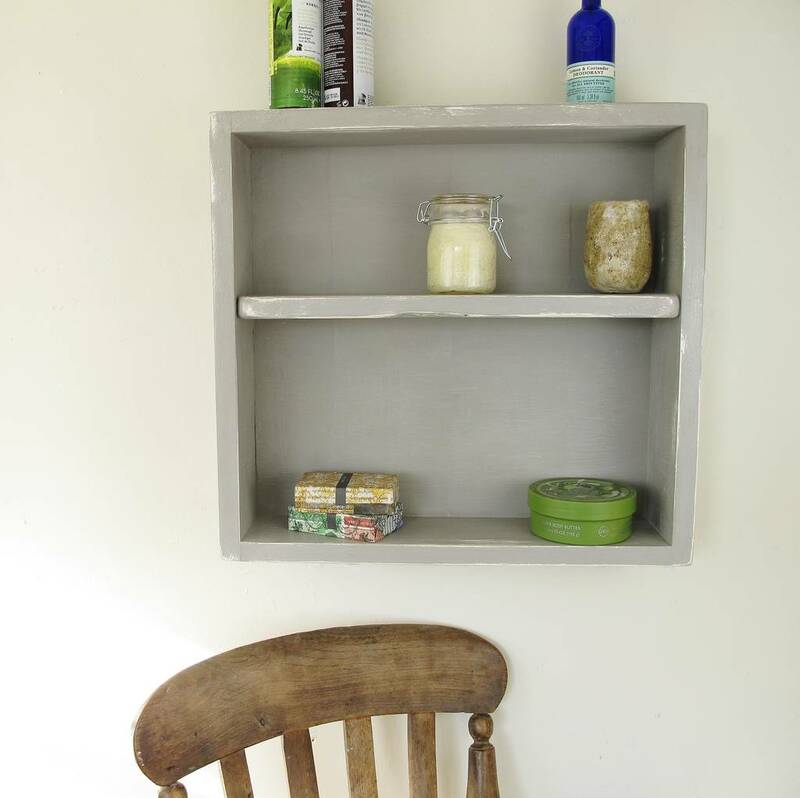 These shelves have a vintage feel but will still look great in a modern home. There are two antique brass plates fitted to the back. I've added four different painted options for you to choose from. Old white will have Paris Grey base. Old White, The colour of chalk and gesso, Old White is a cool soft white without pink or yellow in it. Old White works with everything. 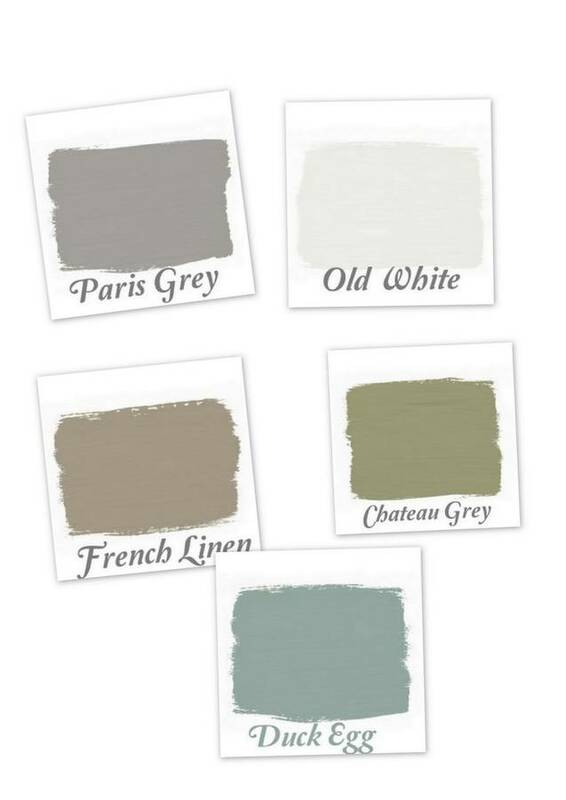 Chateau Grey, This elegant greyed green is the traditional colour found in French woodwork. This soft greenish blue stems from the first discovery of a good blue pigment in the 18th Century, which was then lightened with white. 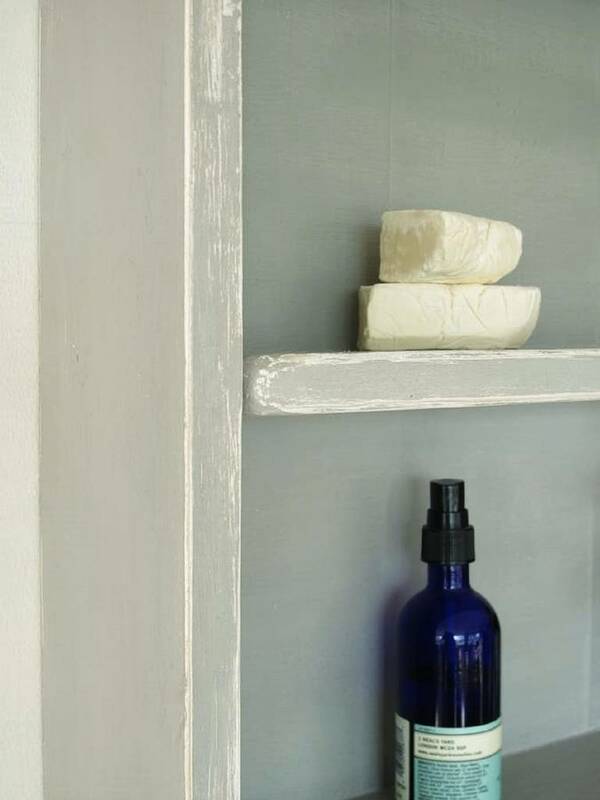 It can be described as a Rococo blue, as nothing says French and Swedish interiors quite like this colour. This product is dispatched to you by Seagirl and Magpie.